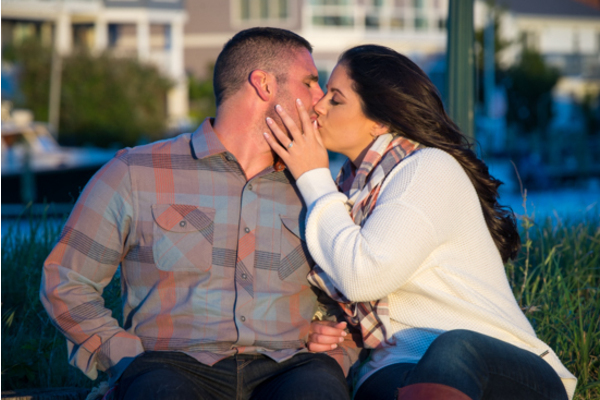 Congratulations to Kristina and Dan on their recent engagement! 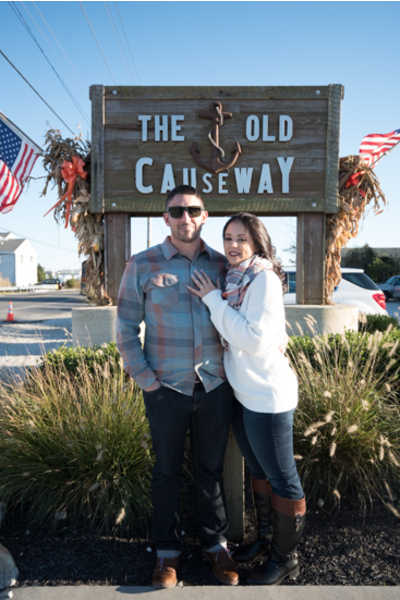 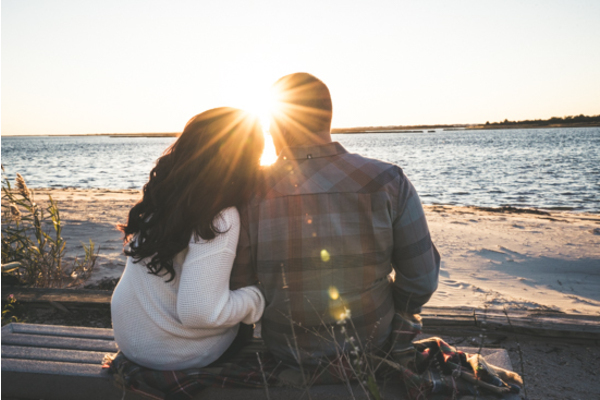 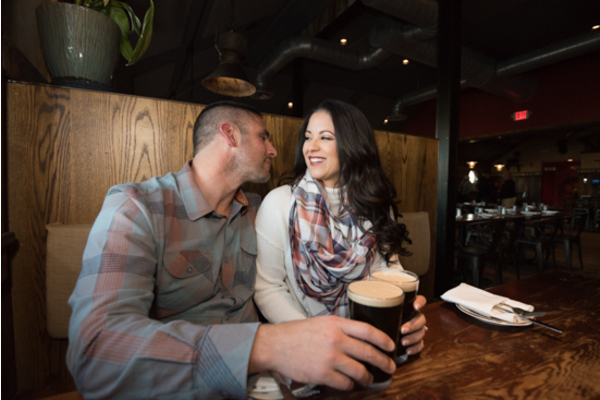 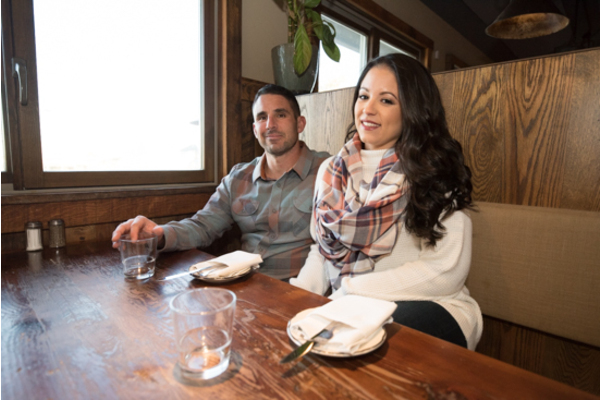 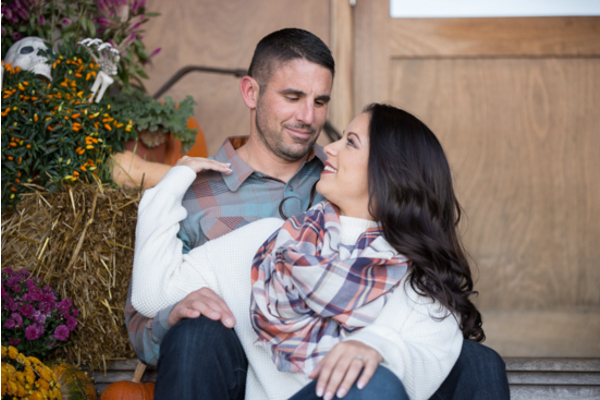 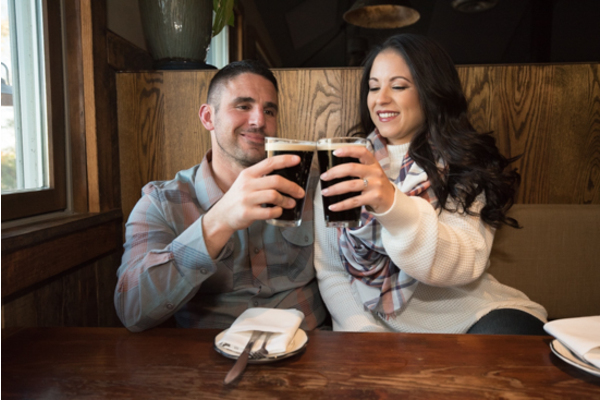 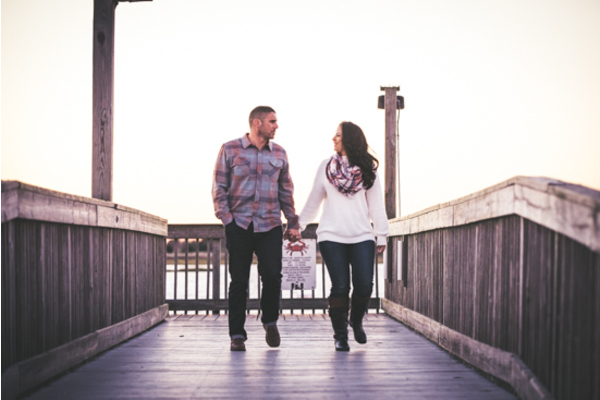 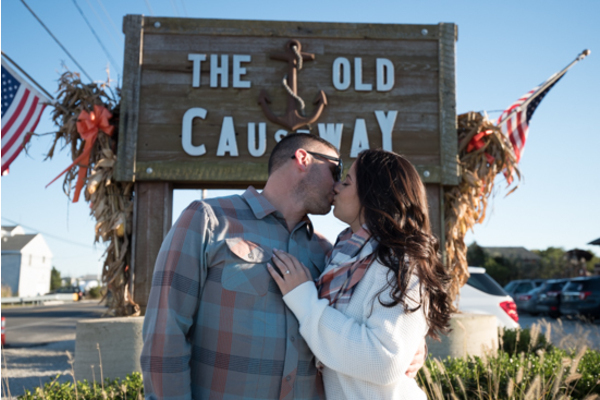 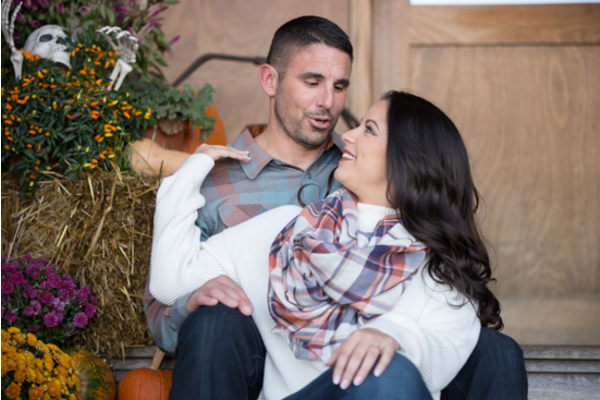 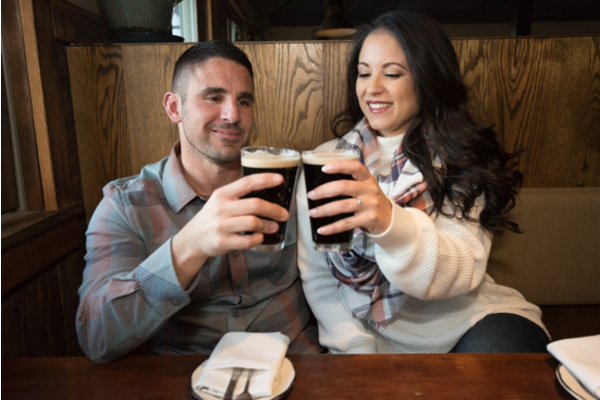 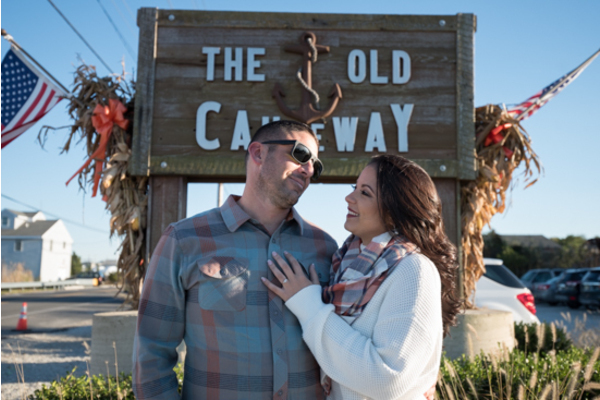 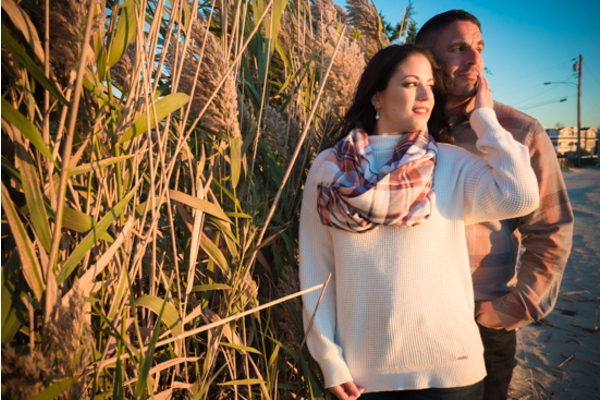 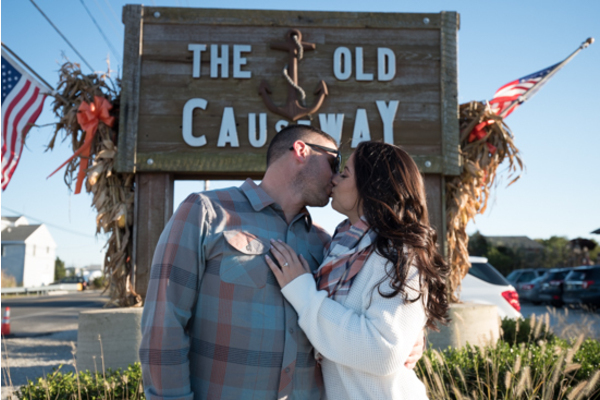 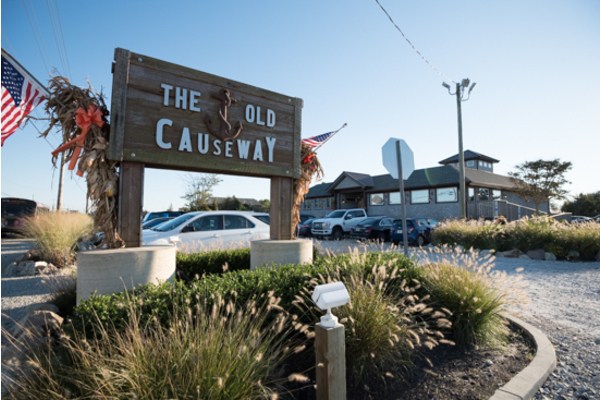 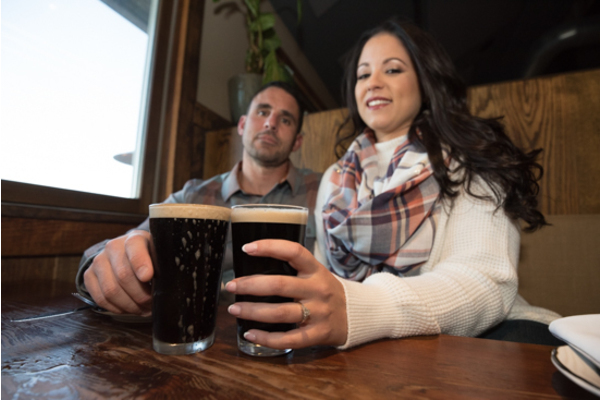 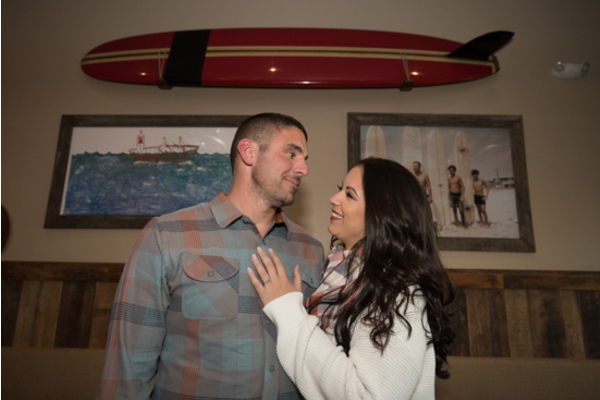 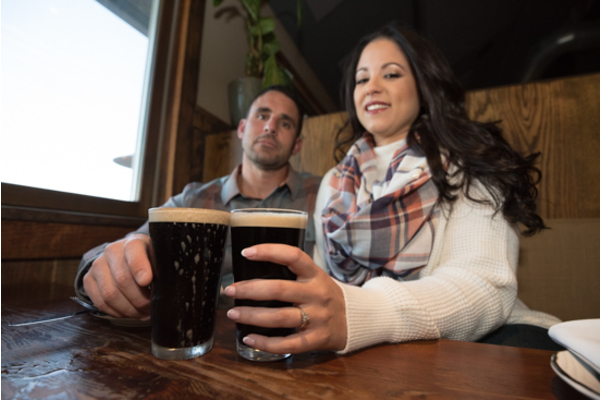 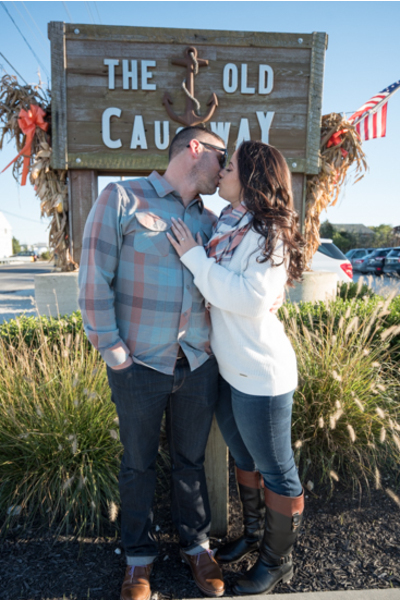 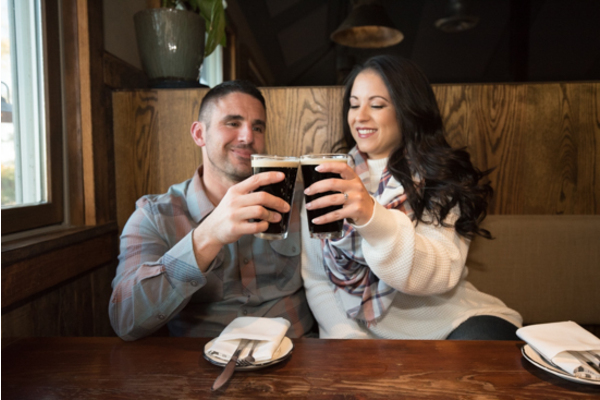 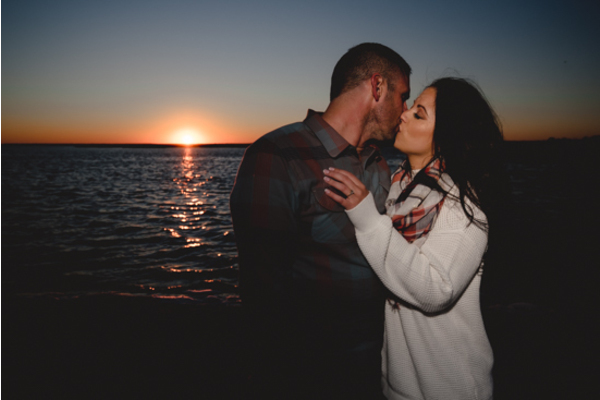 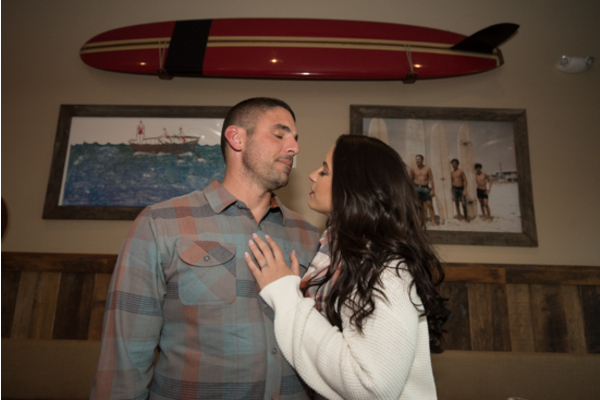 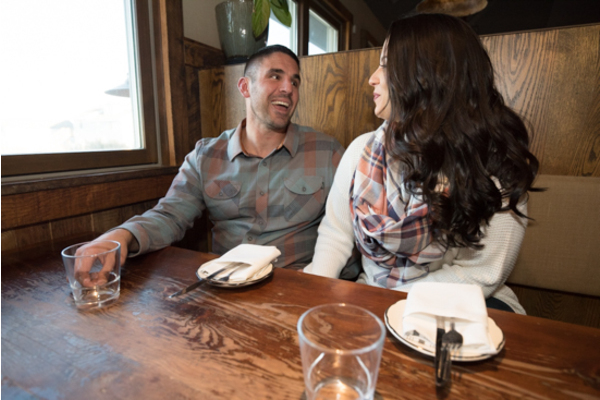 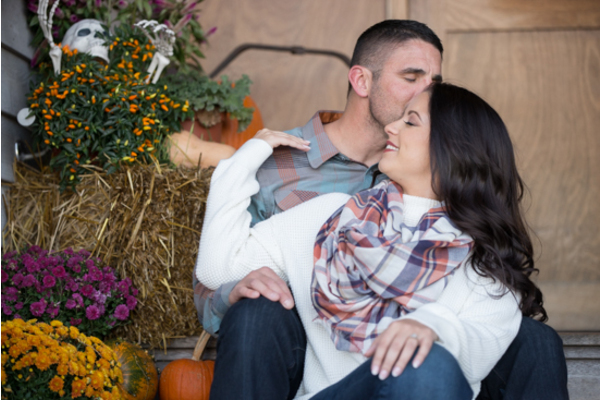 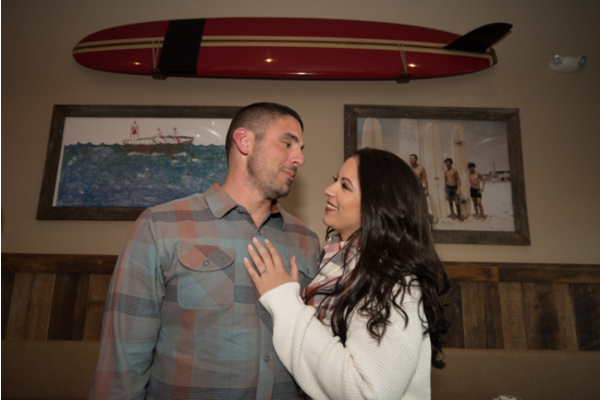 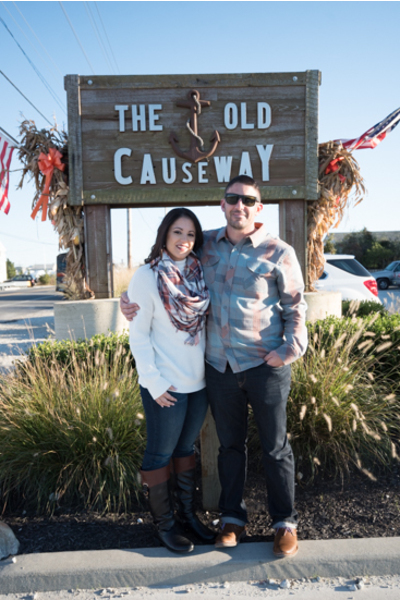 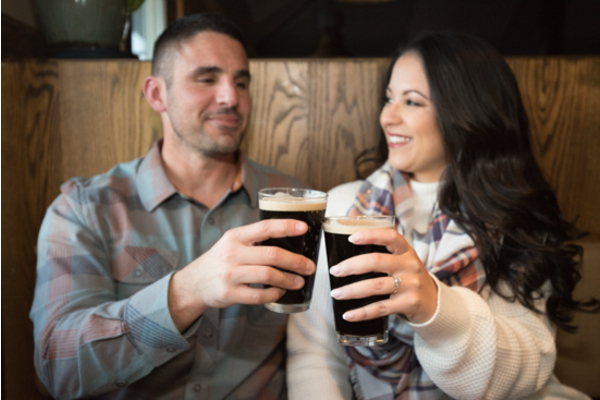 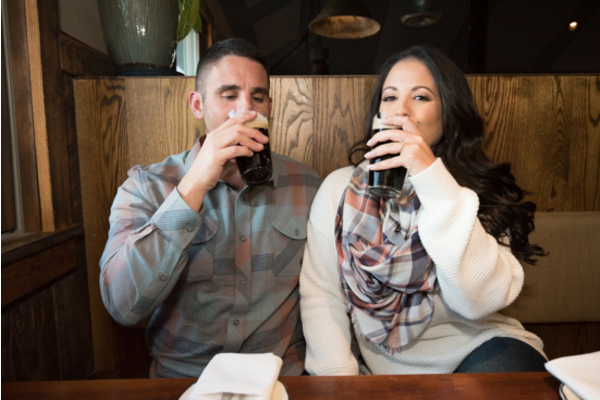 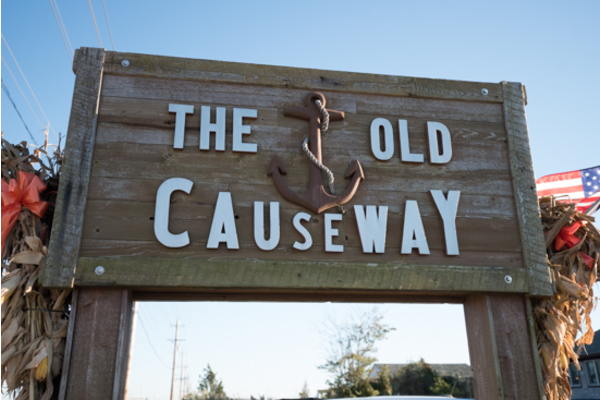 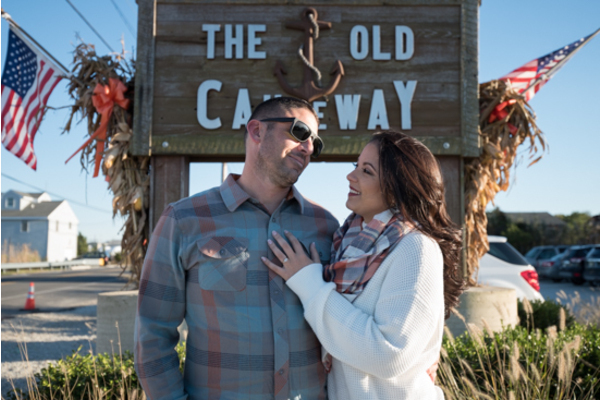 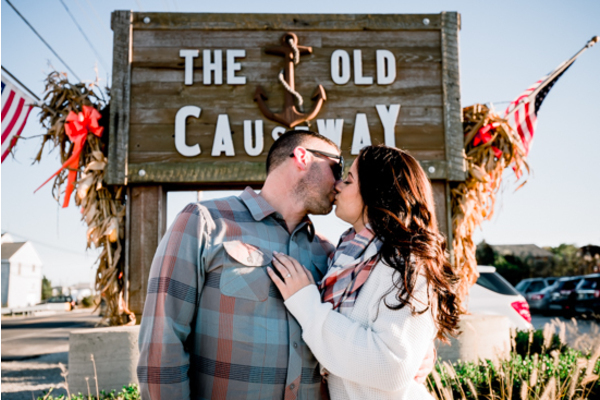 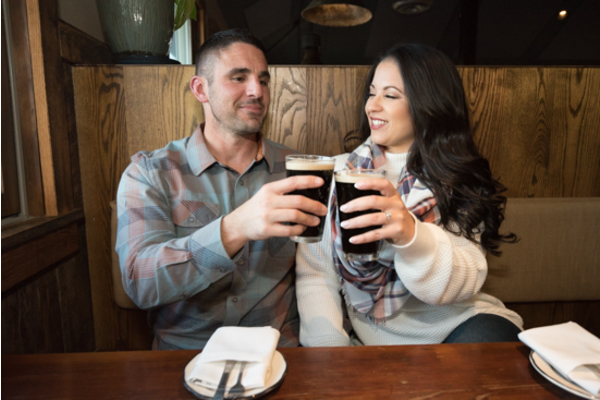 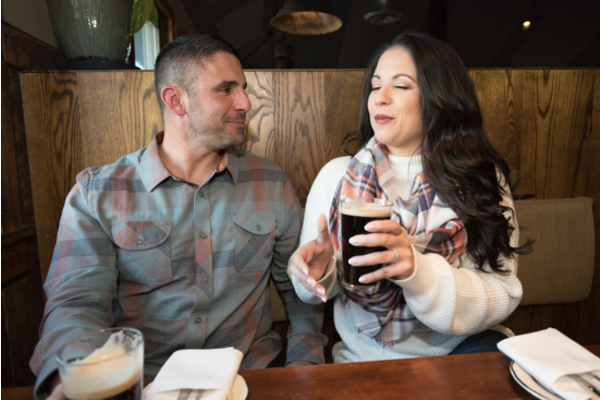 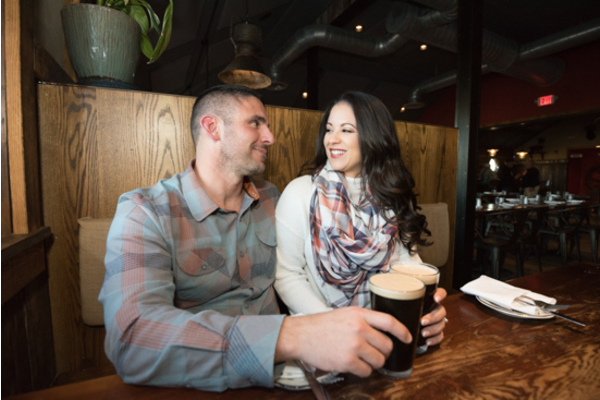 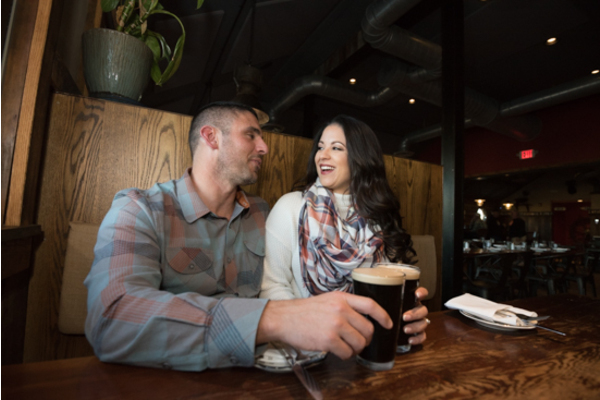 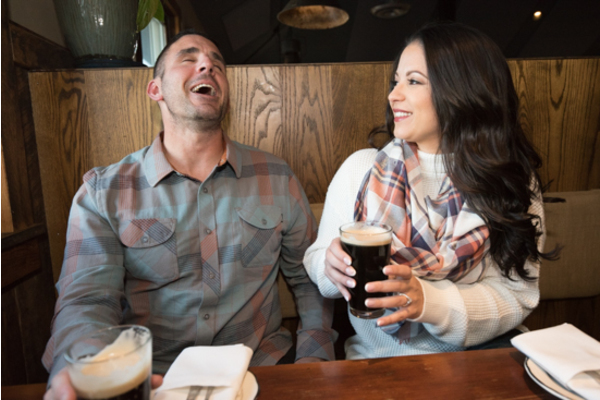 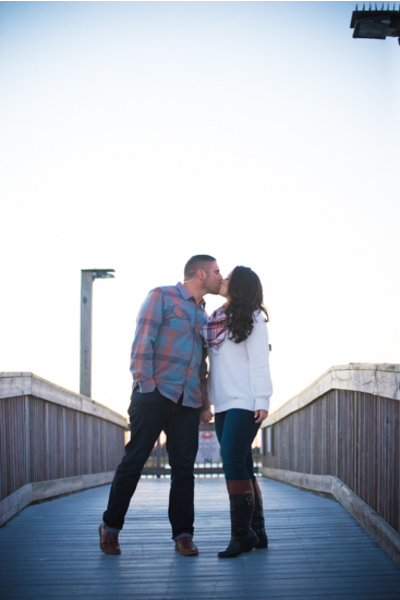 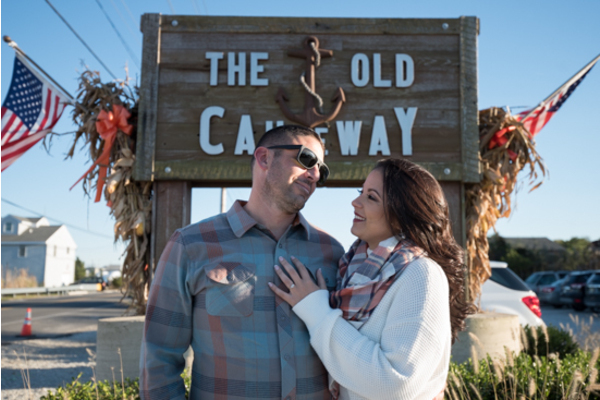 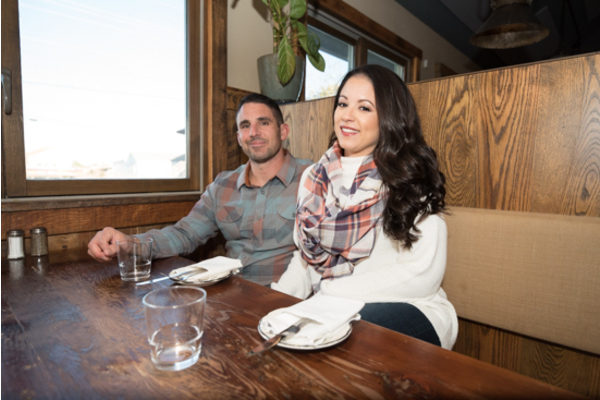 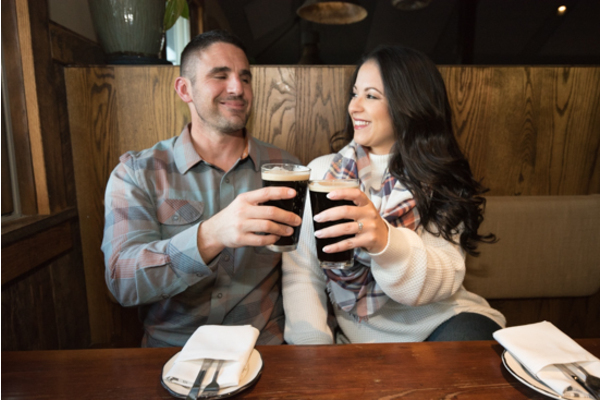 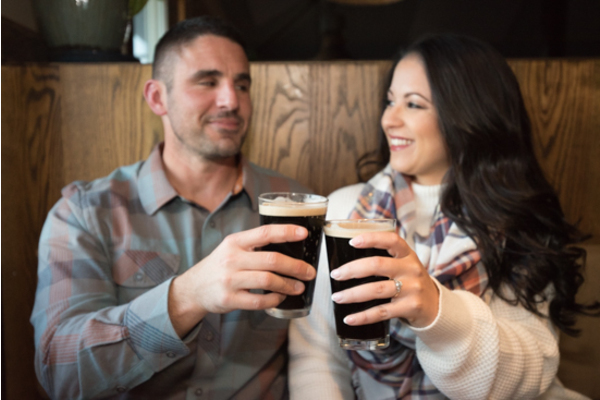 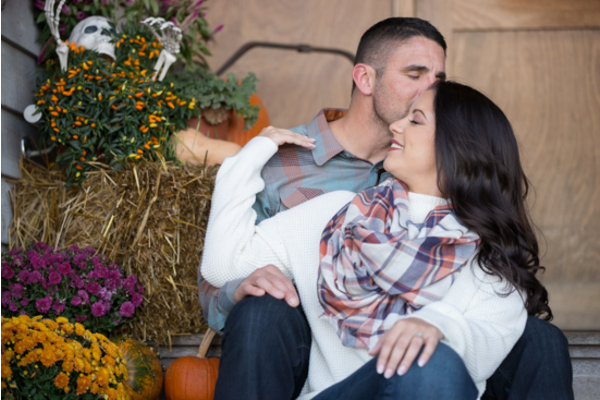 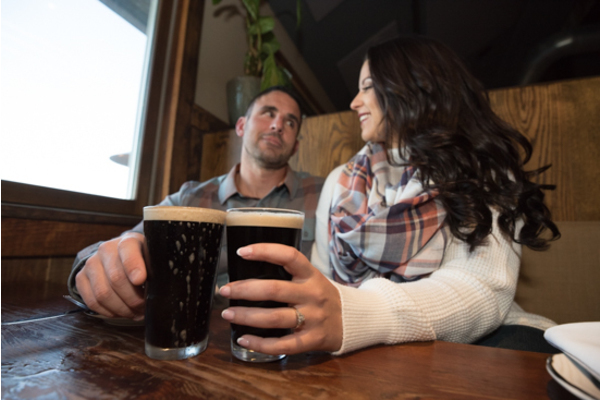 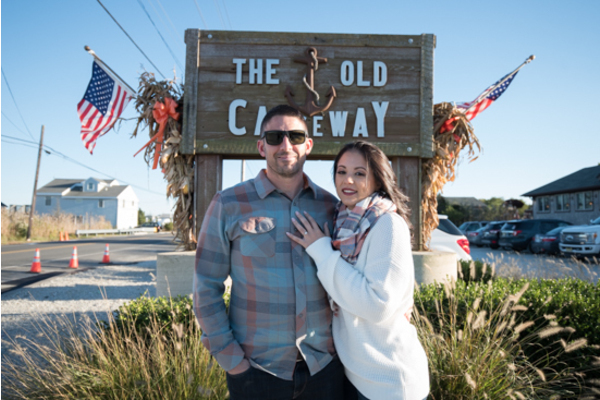 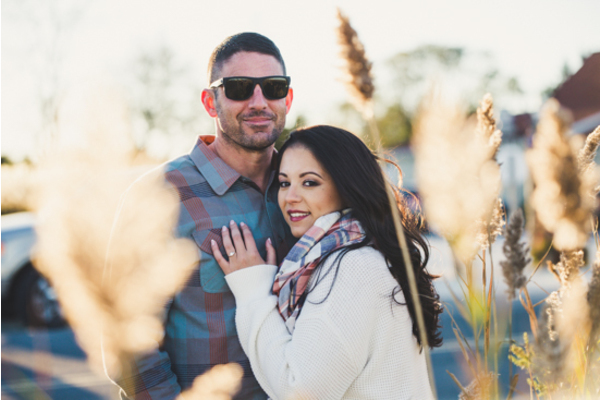 Their engagement session photos took place at the Old Causeway in Manahawkin, NJ that holds a special place in their heart. 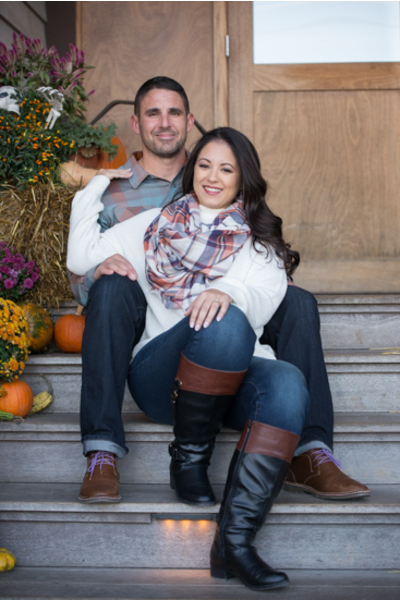 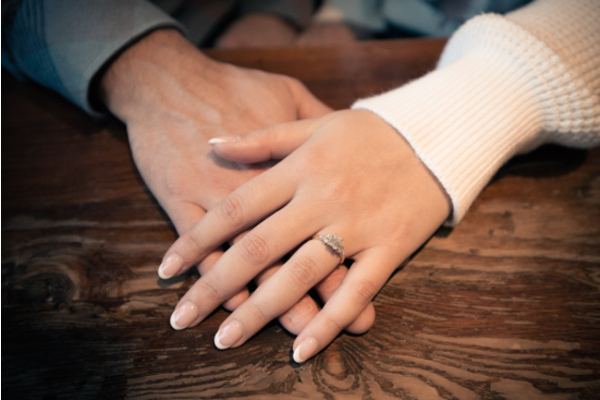 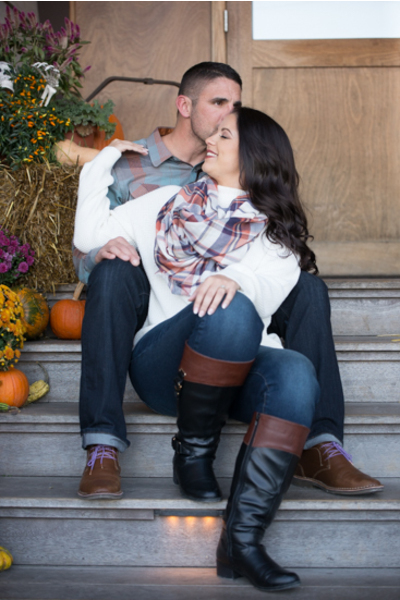 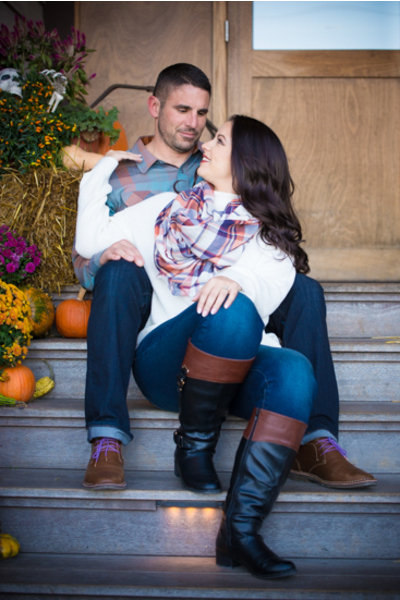 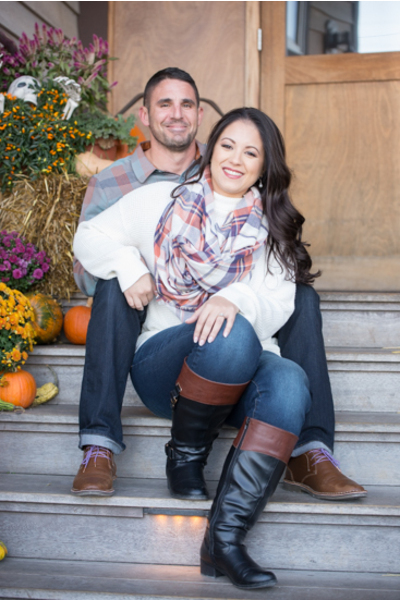 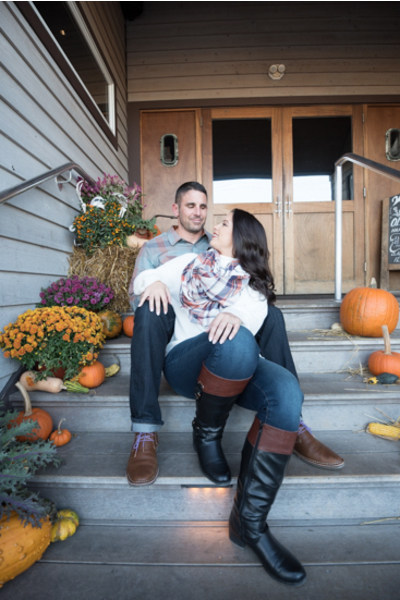 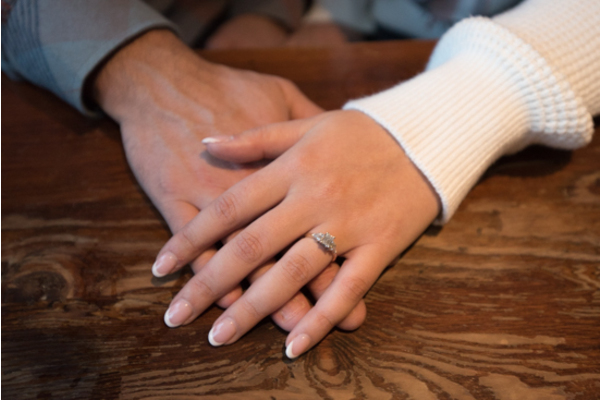 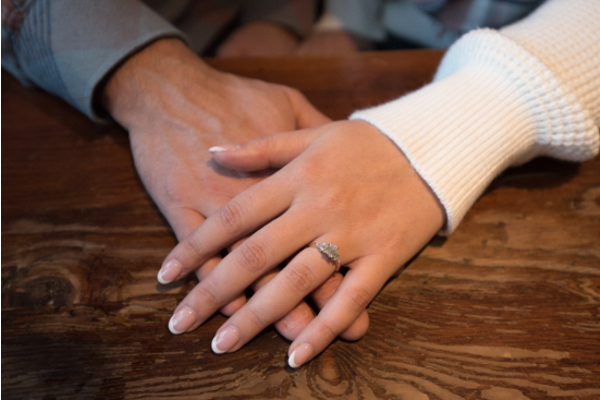 The couple is set to wed this winter at the lovely Gramercy at Lakeside Manor. 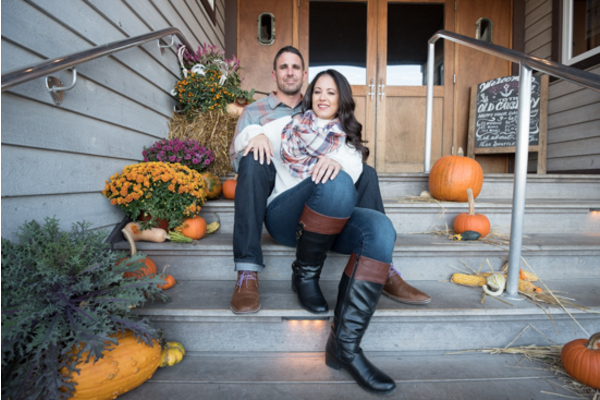 During this fall shoot, the soon to be Mr. & Mrs. posed outside the restaurant in front of the sign and on the front steps. 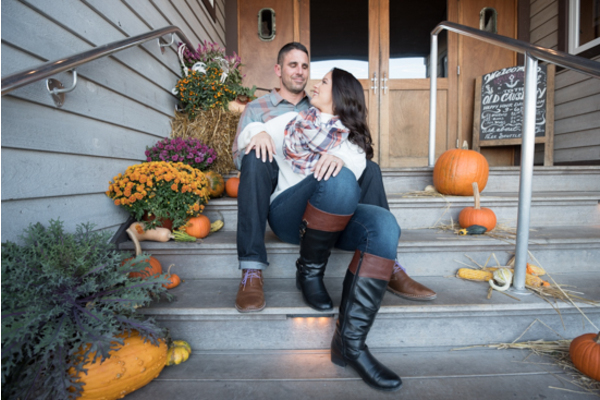 The steps were beautifully decorated with mums and big orange pumpkins! 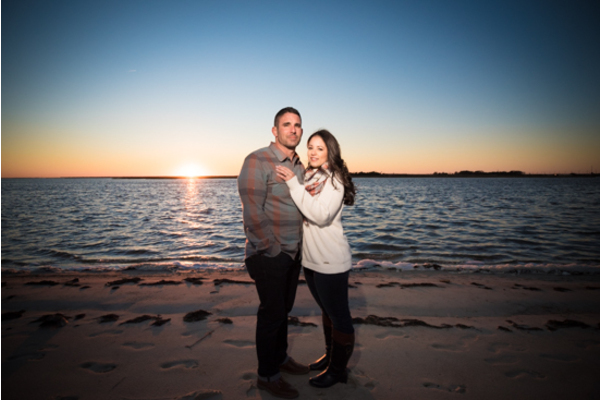 It was such a great background for these photos taken by our NJ Wedding Photographer. 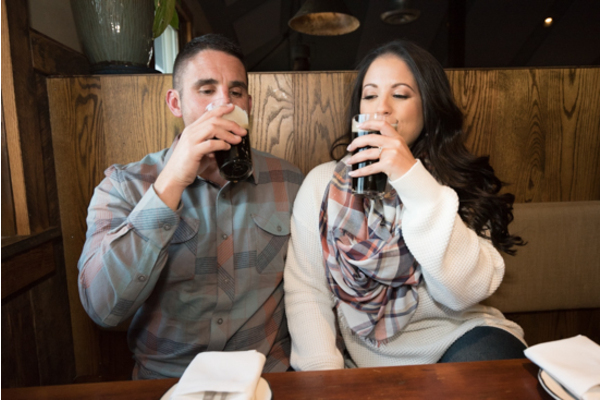 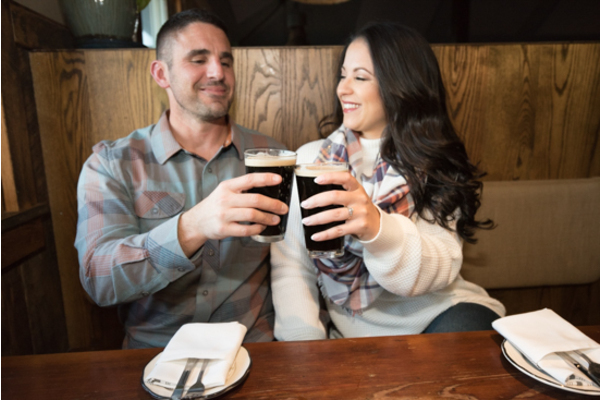 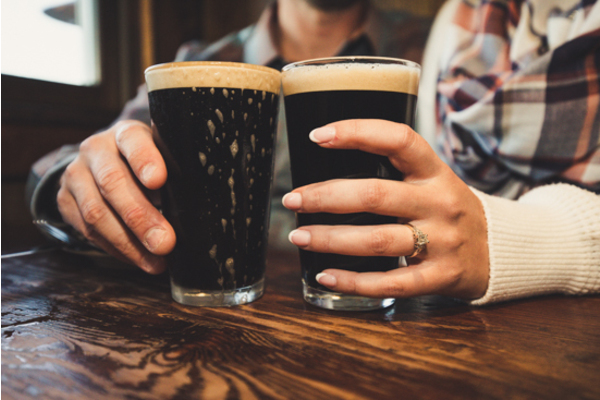 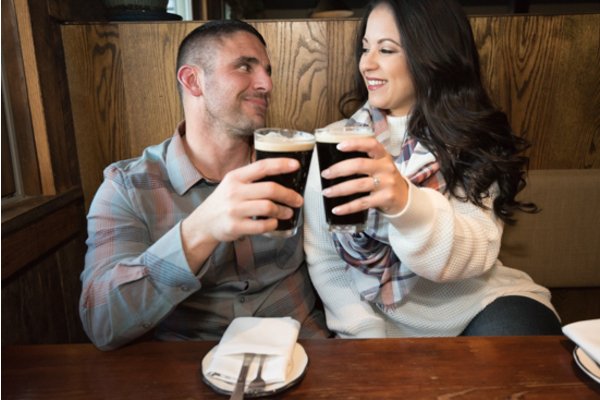 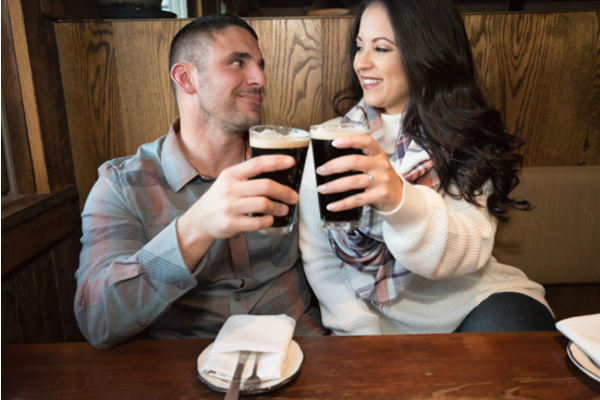 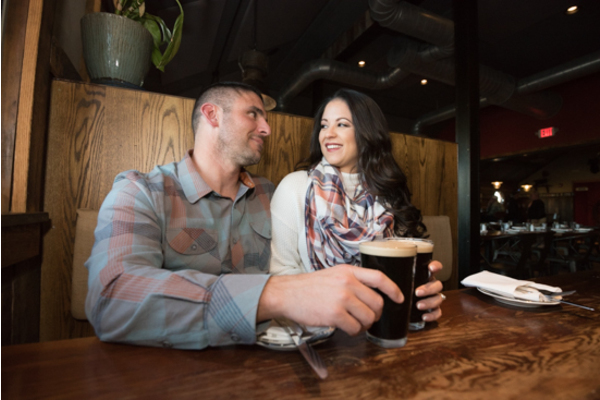 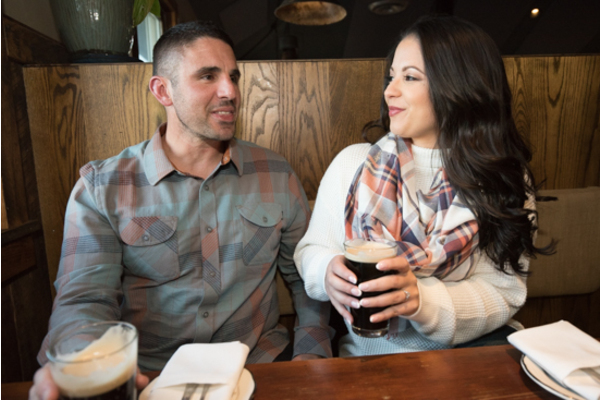 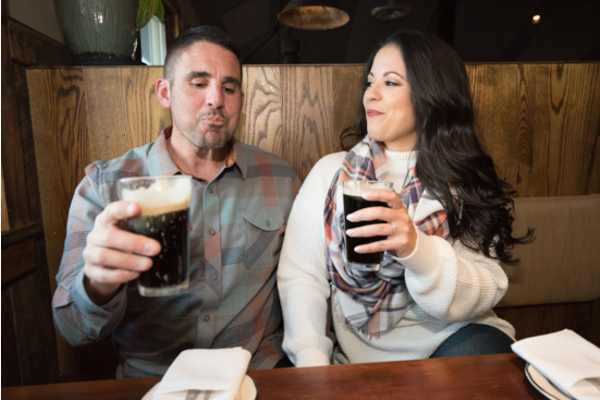 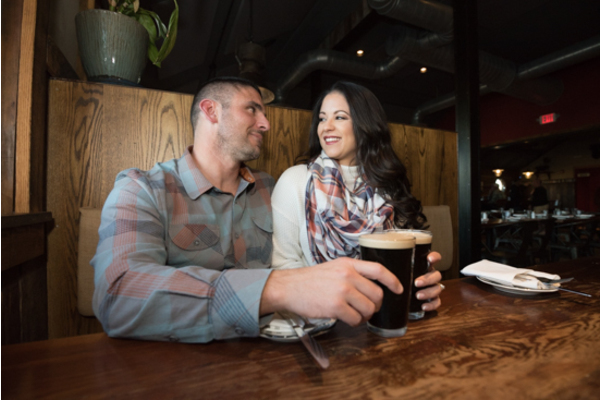 Inside, the couple shared a kiss and a beer to toast to their engagement! After, they headed back into the kitchen and took more photos with the staff! 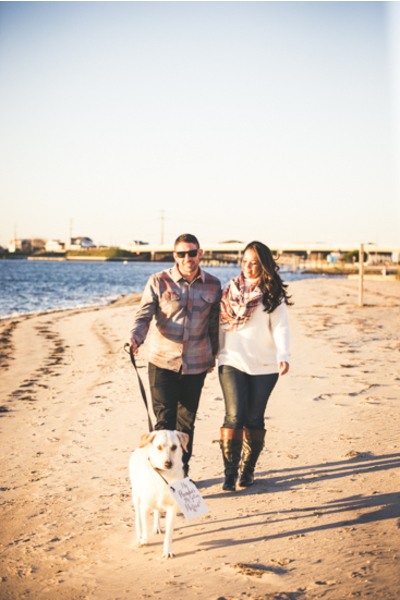 Later on, their pup joined in on the fun once they made their way to the sand. 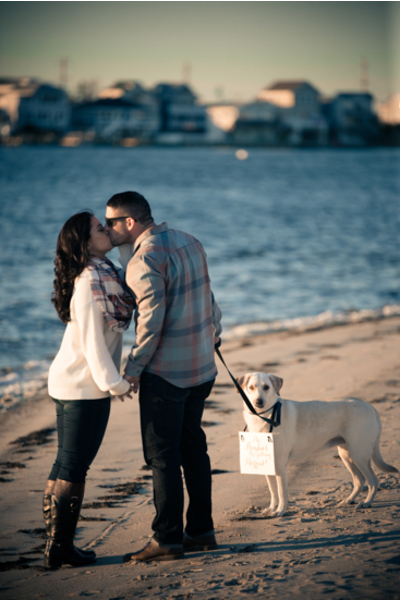 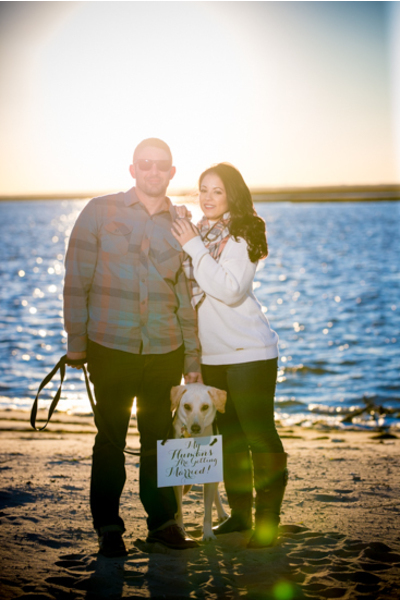 In addition, their furry friend wore a sign that said, “My Humans Are Getting Married!” As the sun was setting, Kristina and Dan got some amazing sunset pictures with the water in the background as well! 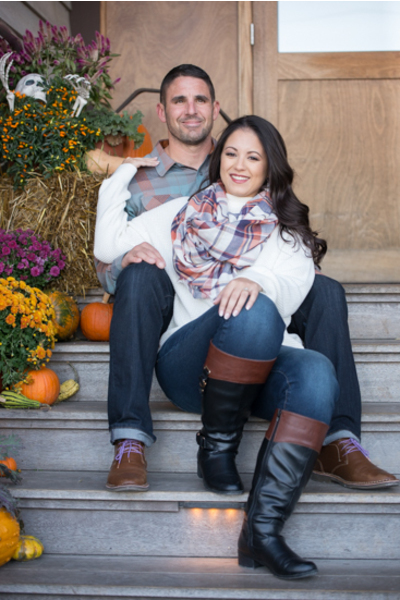 Overall, we cannot wait to meet up with this couple again next December at the amazing Gramercy. 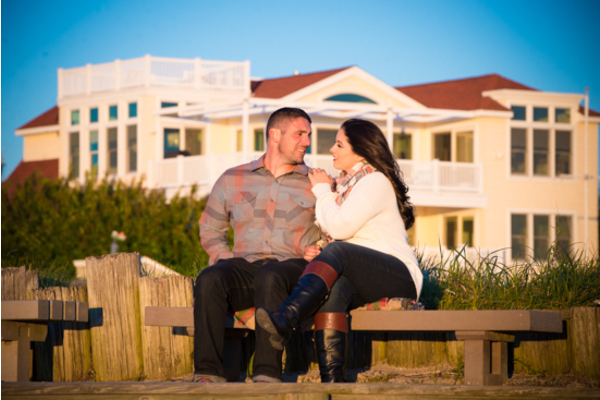 Our NJ Wedding Photographer will capture their special day along with our NJ Wedding Videographer! 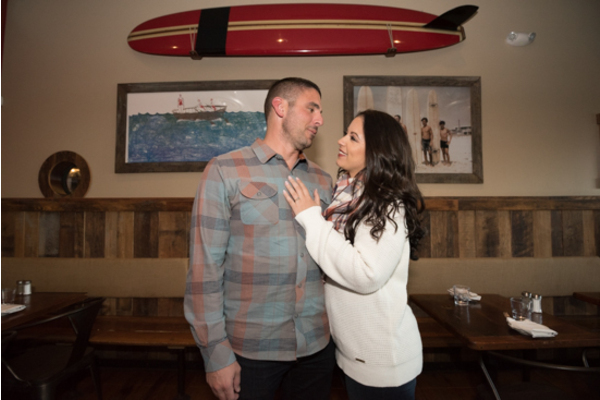 Congratulations, again, to Kristina and Dan. 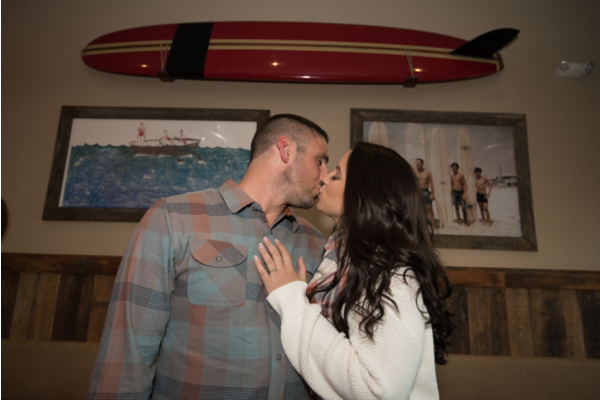 Winter 2019 will be here before we all know it!